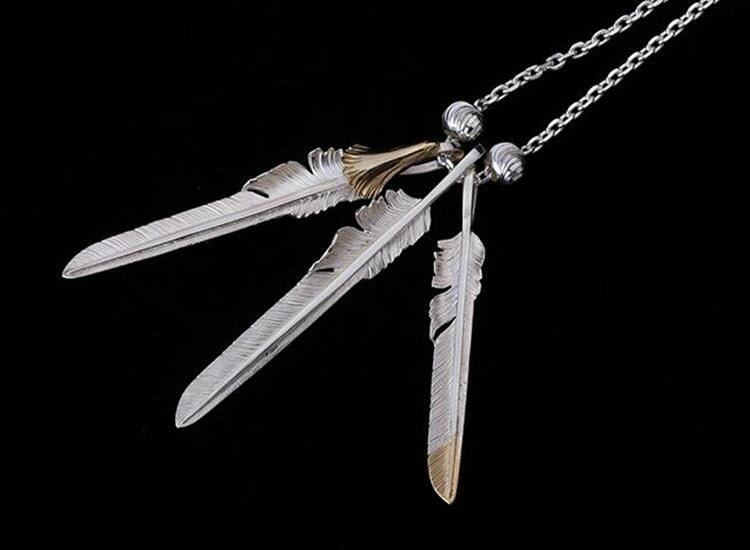 The silver feather necklace is a melange of beautifully handcrafted feather charms that combine to create an enchanting piece of jewelry. 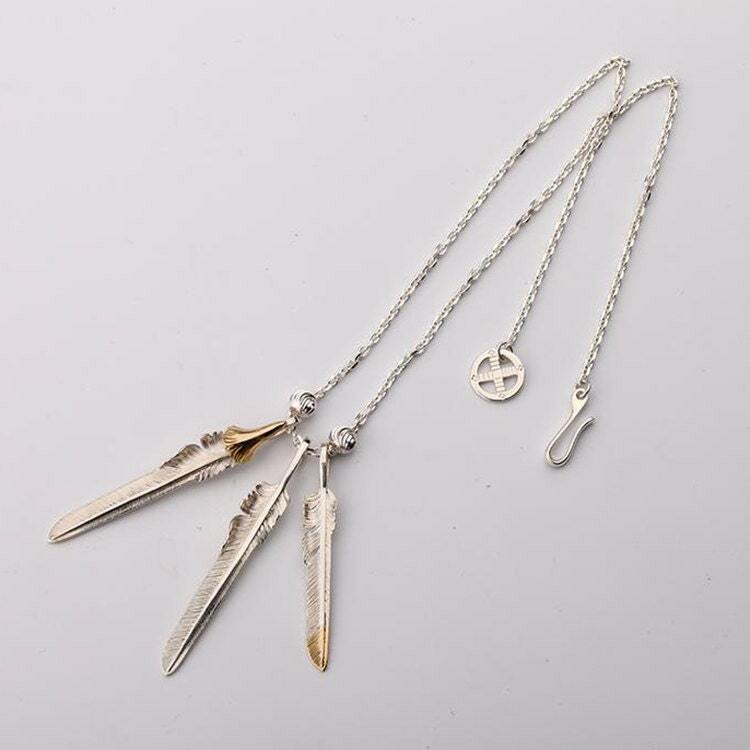 Elegant, beautiful, 925 sterling silver pieces, interspersed with flashes of 18K gold that create just the right amount of spicy zing - you will fall in love with its Native American-inspired jewelry design! 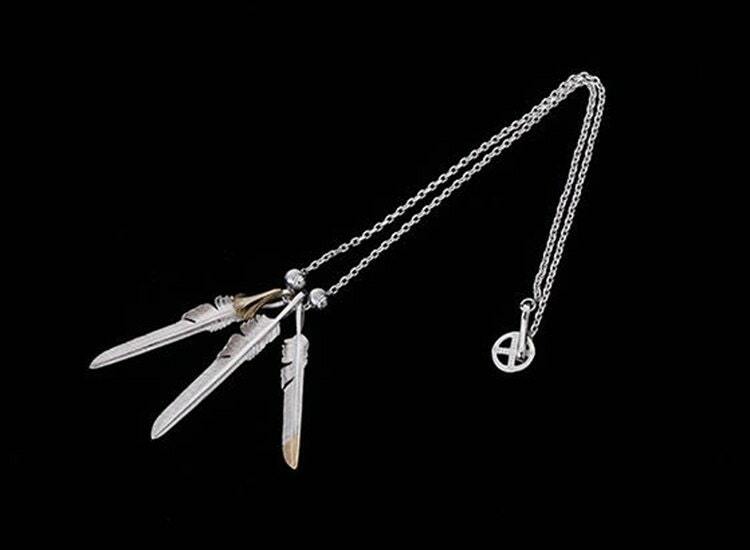 The centerpiece of the necklace is the bunch of silver feathers - representing the prized feathers of a red-tailed hawk. The bird has a special place in the Native American folklore. The silver feathers are crafted identically, but with slight differences that make each of them unique. While one silver feather is plain, the second has a golden tip. 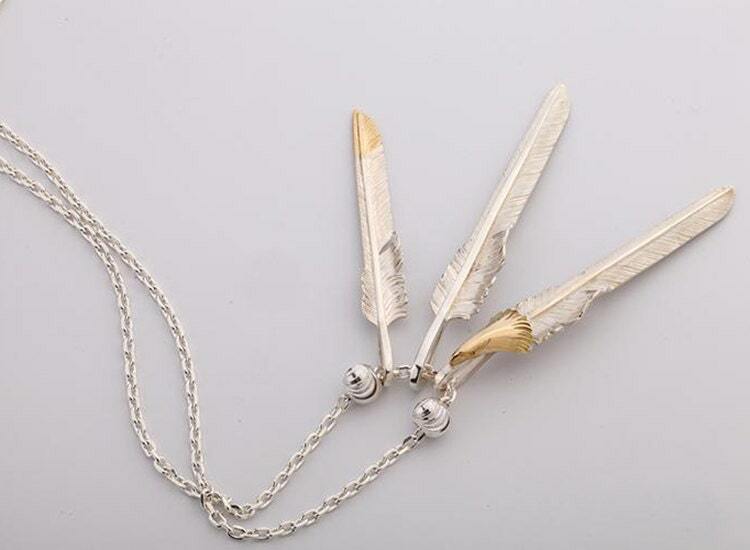 The third silver feather is special - it has a tastefully carved 18K Gold eagle head as its quill. The feathers are curiously shaped - they look rather sword-like in shape, representing a faith of bravery and courage. The silver link chain is unobtrusively light and simple, with a hook and loop closure - the loop designed as a ring with delicate arabesque carvings. 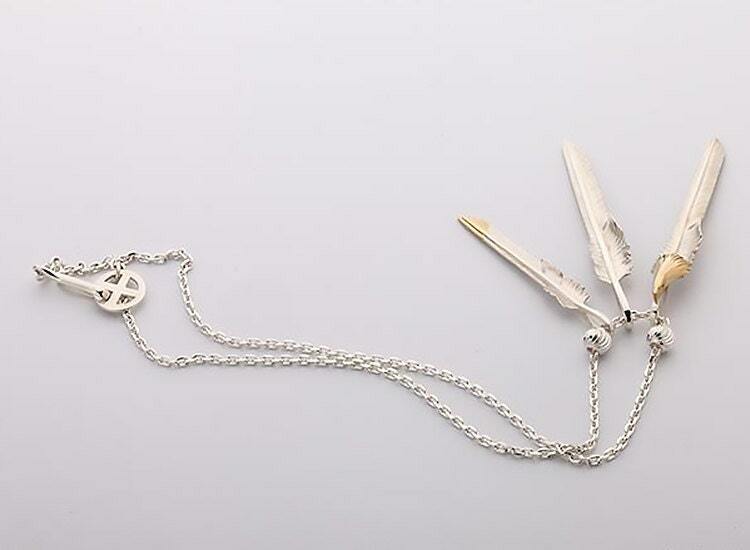 A pair of silver beads add a bit of weight to the necklace, and set off the silver feather perfectly. Silver Link Chain Length Options: 45cm/17.7inch, 50cm/19.7inch, 55cm/21.7inch, 60cm/23.6inch.